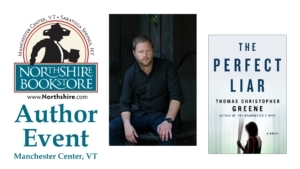 Rescheduled from January from mud slides and flash floods, welcome Thomas Christopher Greene the Vermont mystery author and founding president of the Vermont College of Fine Arts as he presents his new novel The Perfect Liar about a seemingly-perfect marriage threatened by the secrets the husband and wife keep from each other and the sinister, anonymous notes which begin to regularly appear and point to a mysterious past. THOMAS CHRISTOPHER GREENE is the author of several novels, including Mirror Lake; I'll Never Be Long Gone; Envious Moon; The Headmaster's Wife; and If I Forget You. His fiction has been translated into 13 languages and has won many awards and honors. In 2008, Tom founded Vermont College of Fine Arts, a top graduate fine arts college, making him the youngest college president in the country at that time. He lives and works in Vermont. Green Mountain Academy for Lifelong Learning (GMALL) welcomes Cathy Walker to lead this four-part astrology workshop. A person’s birth chart is a map of the planetary positions at the time and place of their birth. It is a rich living statement of possibilities, full of insights, guidelines and warnings, and its knowledge points the way to a thriving, satisfying life. In this four-week course we will learn the alphabet of astrology, consisting of signs, planets, and houses, and how to interpret the information they hold. 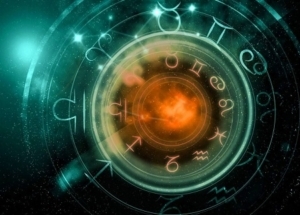 We will look at the history of western astrology, its current use, the structure of a chart, and the basic methods of chart analysis. We’ll explore the ethics and art of astrological readings. Using your own birth chart, you’ll begin to develop a fluency with astrological language. There will be handouts and worksheets provided, as well as some light homework. Class will meet Thursdays, February 28, March 7, 14, 21. Preregistration is required and costs $60 for the four-session course. 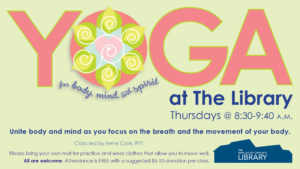 For more information or to register, please call our office 802-867-0111 or visit www.greenmtnacademy.org.